TSPSC Forest Beat Officer Results 2017: Candidates those have appeared for the test can download TSPSC FBO results for Paper 1 & Paper 2 from the TSPSC Official website, tspsc.gov.in. Go through this article for more information regarding the TSPSC Forest Beat Officer Examination results, cut off marks. This exam was conducted by the Telangana State Public Service Commission. So, the TSPSC Declared the results on june 20th. To check the TSPSC Forest Beat Officer Result 2017 easily, candidates should take a look at the below given simple process of checking the result. The Aspirants who want to know more about the TSPSC FBO Exam can refer the below-given Full fledged Information. Number of Vacancies : 1,857 vacancies. Telangana Forest Beat Officer Written Exam OMR Based Successfully Conducted on 29th October 2017 (Sunday) in 10 Districts in 02 Shifts Morning 10.30 A.M to 12.00 P.M and 2.30 P.M to 4.00 P.M. Lakhs of Candidates Written the FBO Paper 1 General Knowledge and Paper 2 General Mathematics Exam. The screening of candidates will be done through written test and interview rounds. The TSPSC Forest Section Officer exams was conducted on 29th October. The Telangana FBO Answer keys and question papers will be provide by Manabadi, sakshi and eenadu websites with prepared by experts in coaching centers. Recently the Telangana PSC has issued an advertisement to recruit Aspirants for the post of FBO. This Exam was conducted to fill 1,857 vacancies. The Aspirants who have attended the TSPSC FBO Exam are eagerly in search of TSPSC FBO Results, keeping this in mind here we are getting the TSPSC FBO Results 2017. candidates wehave attended for TSPSC FBO exams can check the TSPC FBO Results along with Expected cut off marks category wise. Primarily, open the official website i.e. 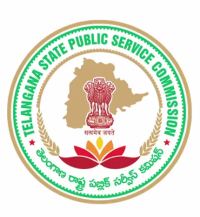 tspsc.gov.in. Now, visit the results section of the official portal. Thereafter, find the appropriate link to your result. You will be asked your roll number, date of birth and other details. Enter the details properly, and press the submit button. Finally, you will be able to check your result. Please Tell when it is going get our results forest beat officer….? SIR IAM LAXMAN MY TS ID NO TS2400705471 I LOST MY HALL TICKET NO SO PLEASE HELP ME SIR THANKING YOU. Sir am y. Rajashekar FBO hall ticket number 1448047470 I have got 96 marks ST category my number was not found in selected list. But my Frnd got 85 marks his number is there in the list. Sir am USHA fbo hl tc no 1948144082. I got 87+ NCC 5 marks total 92 SC cast warangal.how much cut off marks sir please tell me sir.i didn't found my number in the list.